For a good few years in the early ‘50s, you’d be hard-pressed to find a better football club in the world than Millonarios Fútbol Club. It was this period of dominance -- later known as the Ballet Azul -- that turned Millonarios into one of the marquee clubs in Colombia. Throughout their rich history, they’ve won 15 Primera A titles and 4 Copa Colombia trophies. They’re also famous for their high-profile inter-city rivalry with Santa Fe. Municipal Sports Club CM, part of Millionarios pre-history. Millonarios was officially founded in 1946, but that was merely the club’s third incarnation. They were originally formed in 1937 by several students from two nearby Bogota schools. Additionally, the roots goas back to a team that in these days was named Municipal Sports Club. During these early years, the club was mostly known for spending a lot of money on foreign players, earning the nickname “Millionaires.” The nickname soon became a crucial part of the club’s identity, and the club was refounded as Millonarios FC. 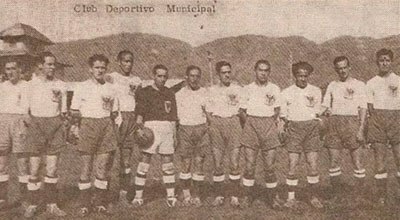 In 1948, Millonarios was one of ten clubs to take part in the first edition of the Colombian professional football league. As it would later turn out, the timing was rather fortunate. Due to a players’ strike in the Argentinian football league, Millonarios was able to acquire some great players who would become their driving force in the upcoming period. Their main signing was the incredible Alfredo Di Stéfano. Due to the combination of their blue kits and their effortless goalscoring prowess, this squad soon became known as the Ballet Azul ("the Blue Ballet"). From 1949 to 1953, they won no less than four Primera A championships. This run came to an end once Colombia was suspended by FIFA for recruiting international players without passports. Nonetheless, Millonarios continued to perform well, claiming five more national titles by 1964. During the mid-’60s, however, the club began to lose ground to other Colombian teams, including their Bogota rivals Santa Fe. By the end of the century, they managed to win just four more national championships, though they’ve also made the Copa Libertadores semi-finals on three separate occasions. This uninspiring period came to a head in 1992, when the club lost to Santa Fe in a memorable 7-3 drubbing. Following another disastrous period from 2000 to 2010 and plagued by long-standing financial issues, Millonarios filed for bankruptcy. It was soon bought out by a 4,000-strong fan group called Azul y Blanco. Along with the new management, this change initiated an evolution of the club’s playing style. Right after that, the White-Blues won the Copa Colombia, which was their first major trophy in more than two decades. Against Atlético Bucaramanga at Estadio El Campín in 2017. After the appointment of Hernán Torres as the new coach, Millonarios went one step further and secured their 14th Primera A title. They wouldn’t have to wait too long for their 15th championship, which arrived in 2017. In the final match, Millonarios defeated Santa Fe with an aggregate 3-2 score, despite being down by the very end of the second match. The blue and white crest include a symbol with two round circles at the top left and letter "M" at the right bottom. In some versions stars are included to represent champions titles. 1932Municipal Sports Club CM is established. 1937The club is unofficially founded. 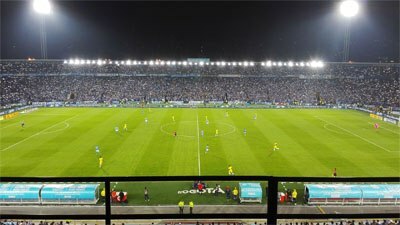 1946Millonarios Fútbol Club is established as Club Deportivo Los Millonarios. 1947First time national league champions. 1953First time Copa Colombia winner. 2011The club change it name to Millonarios Fútbol Club. 2018 First time Superliga Colombiana winner.